Most days, there’s little to be proud about when it comes to being a Maldivian. The corruption and injustice running rampant in this small country of ours makes the country I was born and raised in a trifle bit hard to take most of the time. But then again, Maldives is home, it’s people are mine and I theirs, and there’s always that sense of belonging here that I have never found elsewhere. Though my inner free spirit lusts to travel to all corners of the earth, Maldives would always be my home. In recent times, not a day has gone by without one local news or the other causing an uproar in the Maldivian community. The last one to hit us was the news that our language academy aka ‘Dhivehi Bahuge Academy’ had spoken out on the need to change the taxi boards affixed to every taxi as per new regulation should in fact be in the local language. An advisement that came a trifle bit too late in my opinion. Yes, Dhivehi is our own language. Our mother tongue. A language that bears characteristics of and has evolved from a mix of Arabic, Sinhalese and Maharashtri, a language spoken in ancient India. The prospect of having our own language unique to us while is a novelty in the sense that the language is part of the definition of our race and culture, many would disagree with the fact that Dhivehi contributes in any positive way to our lives. While it also helps immensely when you need to share a gossipy tidbit with the friend next to you when you don’t want non-Dhivehi speaking individuals to know what you are talking about, there’s also the current generation and the one that will rule this country tomorrow that does not feel overly emotional at the prospect of losing our own language. Some might argue that Dhivehi as a language is dying its imminent death because our education curriculum barely touches the subject as students move through their primary, secondary and high school education. From someone who has been through every stage of Dhivehi learning that the Maldivian curriculum has to offer, I have to say I was never impressed with the delivery of the language nor the teachers that came bearing the ‘goodness’ of the language. Imagine, a sleep deprived teacher who walks in with a pinched look on their face to take a 45 minute class thrice weekly. First and foremost, the teacher alone serves as a turn off for students. Teaching a language is definitely something quite different when compared with various other subject matters. A love for the language one is teaching is a must to convey that sense of ‘I’ve got to learn this’ feeling to the students. From the moment the Dhivehi teacher walks into class everything starts going downhill. An uber bored ‘what the heck am I doing here’ voice will ask students to open to a page number, read what’s there, answer a couple of questions and then? Nothing. That’s it. There aren’t activities that would help a student learn what the language is about, to fall in love with it and see it as a language that could prove to be useful in their future. So how do we blame the current generation that has been bored to tears by teachers who couldn’t care less of the knowledge they were leaving their students with? I am no guru of the Dhivehi language. I barely managed to get a ‘C’ grade in both the SSC (Secondary School Certificate) exam and the HSC (Higher Secondary Certificate) exam later on. My handwriting would have definitely been on par with that of a doctor’s scribbles on a prescription if not for my father who was hellbent on working each of us to have a good handwriting when it came to Dhivehi as well as English. While I took to English like a duck to water, needless to say, Dhivehi came with its own dose of Valium pills in the mix. What struck me most then and even now is the fact that Dhivehi lacks proper standards that are agreed upon and documented by the various ‘scholars’ of the language. While reading an article written by Hui Ali Didi might be the rage, it definitely does not instill the love a student ought to have in the language to seek more materials to read and learn from. With one teacher agreeing on one concept and the other the opposite, as students we remained confused and most of the time didn’t give it much of a thought except when it came to passing exams. Even then, unlike an English exam where one knows what is expected of them, Dhivehi exams always lay in the unknown; no one knew what was expected apart from writing essays that suited the current teacher’s accepted mode of essay writing. All in all, language standards remained the prerogative of the teacher in residence. So who do we blame for this confusion that has led everyone to correctly assume that Dhivehi as a language is not going to be viable for long if something drastic is not done to counter this effect? I don’t think most would disagree with me when I say that one of the most severe problems facing our language is the fact that Dhivehi as a language doesn’t seem to grow and expand to encompass and embrace the constant changing world that we live in. If I were to be cruel, I’d have to say Dhivehi develops, if it can even be called that, at the rate it’s people develop. Our dictionary aka Radheef remains absolutely obsolete. There’s just one online version and that too no thanks to the department that was apparently ‘protecting’ the said document from going ‘viral’. Dhivehi linguists (most of them so darn proud of the fact) boasts about how rich our language really is. I fail to see the point. Perhaps because I have little or zero interest in reading most Dhivehi literature (those things just scream at me not to touch them), I really don’t see all that many words that can be used in multiple contexts. I judge a language to be rich by that. The words that ebb and flow and give meaning to the letters that you write on a page. Yes, our ancestors and current generation included are quite adept at cursing and throwing foul words around using the language; apart from that? Zilch, nada! So in the end, whose responsibility is it to develop Dhivehi as a language? To make it grow and infuse it with very much needed life that could perhaps help bring it back from the throes of death. Where is the language academy’s role in all of this? Is their role limited to giving advice as to the bare minimum the law on the language asks from us, and that too when the time for the advice has come and gone? Or is their job a more vital one in terms of bringing the language to the people, to make it a highly usable one in all contexts? One thing is dead certain, pun intended. 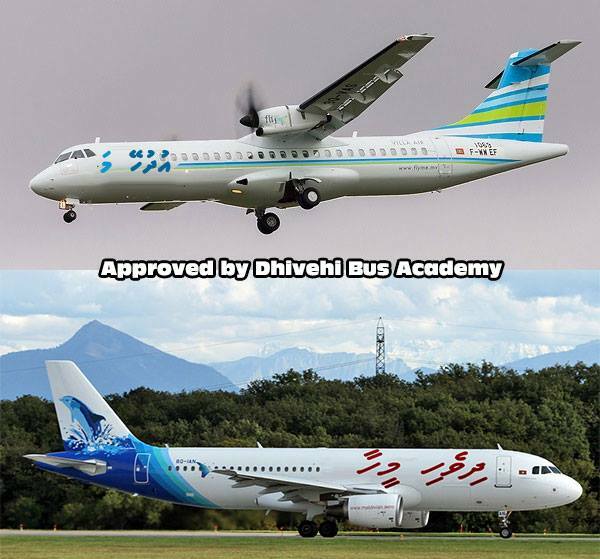 Dhivehi as a language currently lies at the language academy, stagnant and half dead, just as the academy itself, barely breathing while the said academy ignores that and pushes on more important reforms needed to run the taxi services in this country. And as I see it, if something is not done soon enough, I don’t see it reviving and being able to keep up as the world continues to hurtle its way through tomorrow after tomorrow into the yonder. Reblogged this on Khashia Blogs. I’ve read your post and want to say that I’m 100% agreeable with you. Last thirty five years Dhivehi language hasn’t been teaching by the qualified teachers as you’ve expressed. The solution in my opinion is the the teacher educators along with Dhivehi Academy together can fulfil this important matter. As indigenous peoples and linguistic minorities worldwide know, among the most effective ways to “kill” a language is to stop using it as the medium of instruction in schools. This is why Tove Skutnabb-Kangas called her study “Linguistic Genocide in Education” (http://www.linguistic-rights.org/tove-skutnabb-kangas/Linguistic_Genocide_in_Education_or_Worldwide_Diversity_and_Human_Rights.html). Thank you for stopping by and sharing your insight in the matter. I do hope that for our language, something is done by the scholars to revive the use of it and instill a love for the language before it’s too late. I am in search of an English to Dhivehi translator for a small amount of text, warning about the dangers of smoking. I need someone who is a native speaker of Dhivehi. I also need the text translated by this Friday, July 11th 2014. If you can put me in touch with a translator that would be great. If you’re a translator that’s even better! I do translation jobs. Send an email to fathsidhanamohd@gmail.com if you’re interested in reaching out. Thank you for your interest in our language. We usually tend to say ‘Assalaam Alaikum’ as hello or just go with hello if that’s not the case. What else would you like to know?